Many thanks to Nate for the in-depth review! Here is basically a "second hand" review as the video is not in English and Nate could not understand what he was saying. Basically, he watched the display and compared the specs listed in the catalog page. This video consists of two parts. It is probably not a complete overview of all the features and menus of the HYS TC-UV55 - some key features weren't even showed. (He was using the pause buttons to check out all the settings, etc). The unit sells for about 2/3 of what they want for the KG-UV920 on AliExpress. Actually, the video is about the HYS TC-UV55 (which is essentially the same radio as the Baojie BJ-UV55 based on the specs and this video). - Unique way to enter frequencies, the MHz button actually allow you to change digit by digit, most radios will just allow 1 MHz steps, and then you have to scroll up or down up to 500KHz . - 36 Menu items (00-35). - Offset steps - 10 KHz. Same digit by digit entry Offset Frequency (can be set between 0 and 69.9875 MHz in Frequency Mode). - To switch between VFO and Memory Channel mode, he turned off the radio, held the MENU button while turning the radio on again. This seems odd, but I don't understand what he says. There could be a more conventional way to switch between VFO and Memory Channel. Here is a video from Thailand showing the Baojie BJ-UV88 HT radio and the guy demoing the radio did the same on the HT. - The display can do VV VU - U+V,U+U,V+V,V+U dual band working mode can be selected arbitrarily Dual Frequency standby in any band. - The button to the left of the MENU button, is the SCAN button. - BDR function? TX-AB function? - The display backlight can be turned off. - Separate Tone Squelch or Digital Code Squelch can be set for TX and RX. - A lot of similarities to the Baofeng UV-5R (The menu system is actually the same as the Baojie BJ-UV88 handy talkie). -The Menu button is used to enter the item/save the change. -The display shows a used memory channel the same way the Baofeng UV-5R does: CH-001 - used channel 1, 002 - empty memory channel 2. 31 DELCH - Delete memory channel. (Notice in older pictures the FM button was the power button). 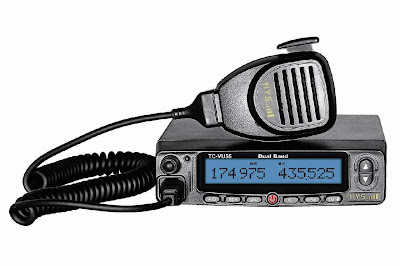 Note how in some places the model number appear as TC-VU55 (instead of TC-UV55), even on the company's own website, on the radio in the picture the model printed is TC-UV55, and in the catalog it says: "Dual Band In-vehicle Radio TC-VU55"
There are currently five offers on Ebay - from $299.62 to $329.99 all free shipping. I believe the difficulty in switching between memory and VFO mode is related to Part 90 certification. Part 90 radios cannot have VFO tuning so the switching is usually difficult, un-documented, or done by software only. I recently purchased a Baojie BJ-UV55 and have been using it in my car. So far I must say I am really impressed. I was initially concerned with the lack of an internal speaker, and the use of a speaker mic so I had an external speaker ready. After trying this little radio out I put the external speaker away as the audio quality of the speaker mic, was far superior to the external. I used the cable and software method of programming the radio and found it to be quite easy compared to most of the radios I have programmed. I have also had the opportunity to program and use a BJ-271 (VHF) and have found it to be a great radio too. It is only recently that I have strayed from american and Japanese radios to try out some of these very reasonably priced radios from China. So far, I am starting to think these are the radios for me. Brand names are not important to me, and I think the value for the dollar is definately here with these Chinese radios. I will update later once I have worked the BJ-UV55 more. Thanks for the feedback on the BJ-UV55. I'd love to hear more. If you have tried. Is receiver simultaneously u / v?. Repeater function does between bands u and v? 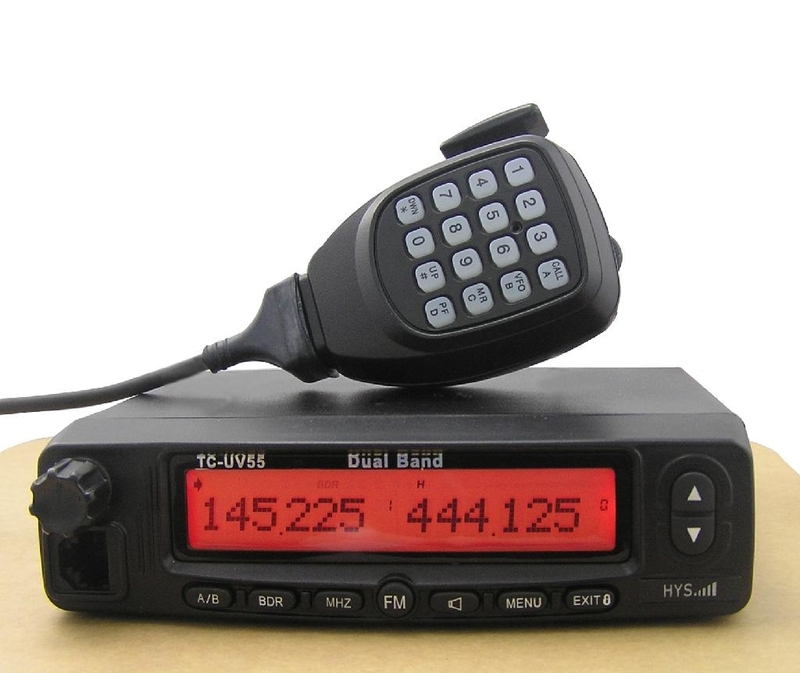 Does anyone know if either or both of these radios are capable of simultaneous dual same-band reception (V/V or U/U)? The Wouxun 920R cannot do that, which is a very serious use limitation. Hi, someone, learn about the microphone conexciones UV-55 ...??? ej: PIN 1: PTT * PIN 2: GND PTT * PIN 3: MIC + * PIN 4: MIC GND ....... ETC ...??? the mic is a kenwood clone, but buttons do not function (besides dtmf tones). I opened it up. In terms of chassis build, its fairly rugged. The rf deck is securely enclosed. Actually, beyond the rf deck, I dont see how to get the face off (where I suppose the controller deck is). This appears to be (at least from programming software, and memory layout) to be a uv-5r variant. The PA transistor is Mitsubishi RD70HVF1. Thanks for all the updates today! I have been able to locate the lo and hi tx power calibration fields in the radio memory, and am able to reduce low power settings to something a bit more even (i like 10w calibrated) for low power. I have updated daily version of chirp with these, but as they are experimental, it's only visible in the developer-mode browser. I hope to get some time to implement all the settings (including power/squelch/deviation,etc) in Jan or Feb.
hey there. I have been using my bjuv55 for about 6 months, and all is well. Except now that the outside temp gets down to 6-8 Celsius the radio wont fully turn on. Most of the lcd segments and the mike lights up and it stops there. When my truck warms up for 30 minutes, radio back light comes on, display shows brand name, beeps and is normal function. Have since ordered a wouvun 950p to replace it. Anyone else have this issue, and can something be done to make it more than a summer time radio. thxs. One major issue I have seen, and confirmed with another BJ-UV55 owner, is that the SO-259 RF connector (aka UHF) threading seems to be odd. What I mean by that is that I have tried several different feedline cables, and all of them tighten up, but the internally connector does not seat completely, and there is some play (maybe a mm or so) along the axis of the coax. Wiggling this connector while receiving a signal results in some breaking up, so I would imagine that it's very possible that it can have an intermittant poor connection on transmit. I suspect this is a design flaw with the connector used. I did notice, as did another owner of this model, that you can forcefully (pliers, UGHH!!) tighten it down. Nothing like brute force to solve a problem! Can you actually plug a Kenwood (RJ-45 8 Pin) mic into the Baojie BJ-UV55 radio and it will work straight out without any repinning? I have owned several Chinese radios, on VHF I get lots of intermod, anybody had intermod problems with this model? What is U/V interband communication?, is it crossband repeat? probably not. This radio has no crossband repeat mode. Just dual receive and transmit. Can anyone verify the mic pinout wiring connections. I am trying to install a Workman Superstar DM-1000 mic to this radio. I need help in correctly pinning it to this Baojie BJ-UV55 radio. Thanks! Here's how I connected a Tornado DM-1000 Mic to a Baojie BJ-UV55 radio. 5. SPK - Yellow (Note: This must be grounded w/ Shield/Ground wire. I used a jumper wire soldered directly on the mic board). All crimped to an RJ-45 modular connector. Does anyone know (and can supply) the pinout and voltage levels for the Data Cable connection? The Cable is 5-conductor and verified no further connections when the old damaged connector was "disassembled".. Caution of the low quality "ptt" momentary contact switch in the microphone. You find that you can "rattle" the microphone and Tx is invoked as the small momentary contact switch refuses to spring back. Don't let this put you off the device though as similar switches are used in Yaesu and Icom radios (In other places). They are very easily user replaced with standard parts such as MJTP1105T available from mouser.com. Note that the nominal hole sizes are 4.5 (up to 5 mm) mm and 6 mm (up to 7 mm). Have owned one of these for about 3 years now. It's still a good radio. Difficult to program by hand (no computer) but not impossible. It's built tough... Has lasted way longer than I ever expected. Quality on-par with Yaesu brand. I get 20-25W out on low power, 50w out on high power. It doesn't like cold weather- display will occasionally blank out when below zero temperatures (but actual radio is functional) until the radio warms up. Overall worth the $200 paid for what it does. Good audio reports. Use it mostly in memory mode for local repeaters.